Internet giant Google has launched two new security features that help to secure users data, not minding if the person is a Google product user or the regular Internet user that has nothing to do with Google services. "Today, we're introducing two new updates that will keep your data secure, beyond just Google's sites and apps: Password Checkup, a Chrome extension that helps protect your accounts from third party data breaches, and a new feature called Cross Account Protection," Google announced in a blog post. Google's new Chrome extension Password Checkup helps to ensure that users password is never compromised without their knowledge. This same similar feature is available on all Google products and apps. Whenever a Google user's password has been exposed in a third-party data breach, Google automatically resets the password of the user account so as to reduce the risk of the account getting compromised. However, with the new Password Checkup Chrome extension, this feature won't be restricted to just Google apps and services alone. "We want to provide you with the same data breach protections for your accounts, beyond just Google apps and sites," Google said. "If we detect that a username and password on a site you use is one of over 4 billion credentials that we know have been compromised, the extension will trigger an automatic warning and suggest that you change your password." In a nutshell, the Password Checkup Chrome extension aims at helping you re-secure accounts that were affected by data breaches. 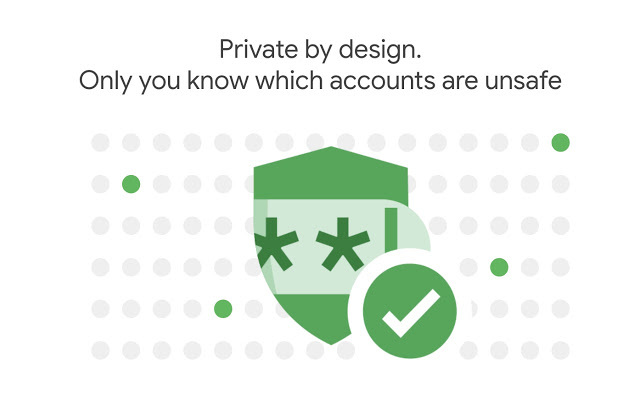 In addition to the above, Google also launched Cross Account Protection to protect users while using apps that require Google account to log in. When those other apps and sites have opted-in to Cross Account Protection, they will receive information in the events of account hijacking and or other security issues. "With technologies like Password Checkup and Cross Account Protection, we're continuing to improve the security of our users across the Internet, not just on Google," Google said. "We'll never stop improving our defenses to keep you safe." Google assured users of their privacy, saying that they have designed the security events to be extremely limited to protecting users privacy.